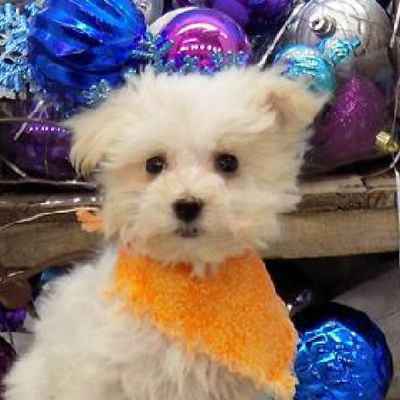 Maltese are affectionate toy dogs weighing less than seven pounds, covered by a long, straight, silky coat. Beneath the all-white mantle is a compact body moving with a smooth and effortless gait. The overall picture depicts free-flowing elegance and balance. The irresistible Maltese face—with its big, dark eyes and black gumdrop nose—can conquer the most jaded sensibility. Despite their aristocratic bearing, Maltese are hardy and adaptable pets. They make alert watchdogs who are fearless in a charming toy-dog way, and they are game little athletes on the course. Maltese are low-shedding, long-lived, and happy to make new friends of all ages. Sometimes stubborn and willful, they respond well to rewards-based training. The origin of the Maltese is unknown, but references to this breed have been found in Ancient Greek and Roman literatures dating back to 500 BC. It is believed this breed was brought to England with the Crusaders returning home from the Mediterranean. The Maltese we know today is likely a crossbreed of the Poodle and Miniature Spaniel. 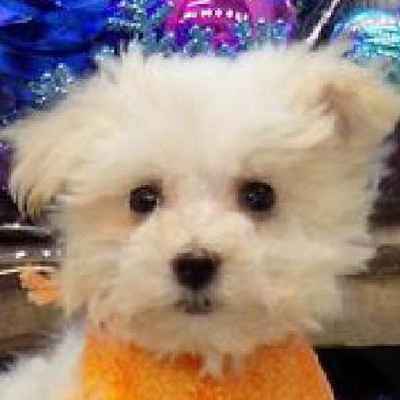 The Maltese is a friendly, sweet, playful, trusting and devoted to the family. 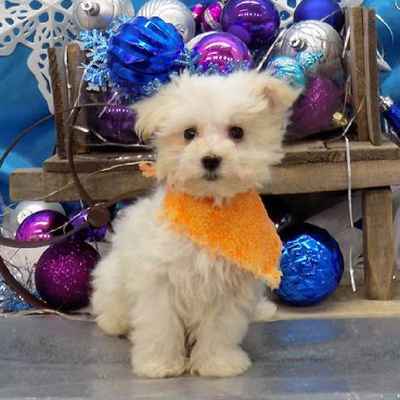 Loving and lovable, your Maltese is highly intelligent and will be eager to learn from you. You need to be a calm, knowledgeable, and humane owner giving consistent and committed leadership to your Maltese using only motivational training methods. The Maltese is a playful breed, and requires a daily walk and off-leash play and running in a safe, fenced area. They also need mental stimulation to prevent boredom and destruction, so be sure to provide your Maltese with plenty of interactive toys that challenge their problem-solving skills. Sufficient length of neck is desirable as promoting a high carriage of the head. Body--Compact, the height from the withers to the ground equaling the length from the withers to the root of the tail. Shoulder blades are sloping, the elbows well knit and held close to the body. The back is level in topline, the ribs well sprung. The chest is fairly deep, the loins taut, strong, and just slightly tucked up underneath. Hind legs are strong and moderately angulated at stifles and hocks. The feet are small and round, with toe pads black. Scraggly hairs on the feet may be trimmed to give a neater appearance.